Externally, the planning application approved design has wide vertical cladding on the middle floor and thin horizontal cladding on the top floor. 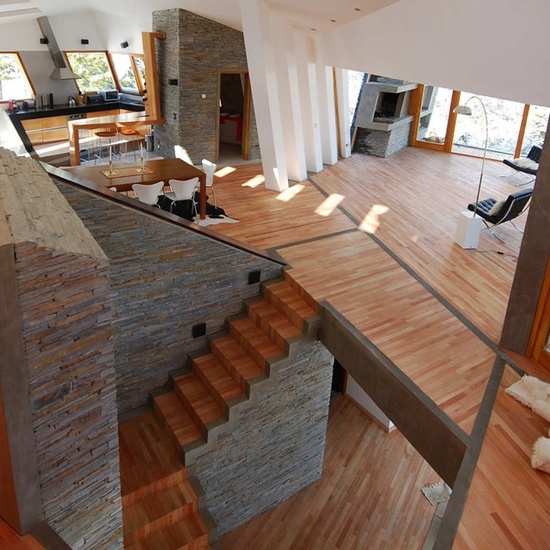 Internally textures are going to include slate or wood (bamboo) flooring depending on the area of the house. The kitchen counter tops are also likely to be wood / bamboo. There is also going to be a chunk of glass, but I’m avoiding stainless steel and other metal (eg for handrails). 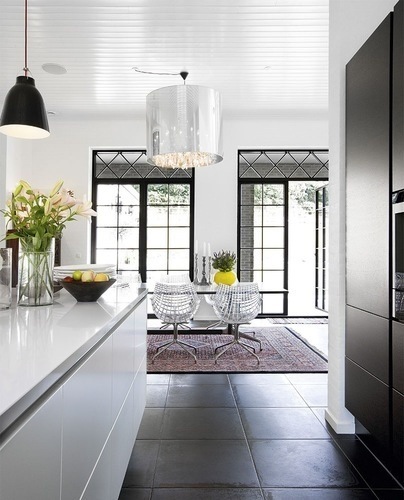 The above image has a nice mix of slate tiles, clean lines, white and black kitchen units with no handles. The above image has a nice mix of stone and wood, with white walls and ceilings. 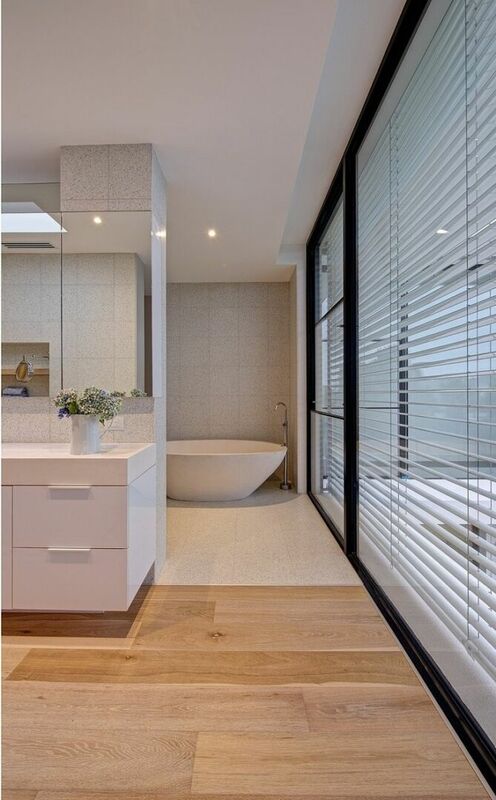 For the bedrooms, the photo below has a nice potential wood to tiles transition. Have a look at these lighting notes.